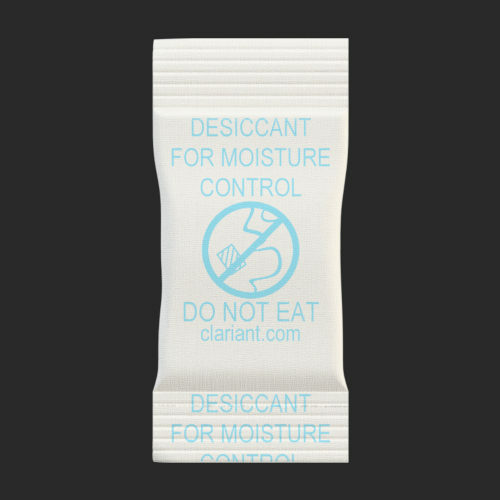 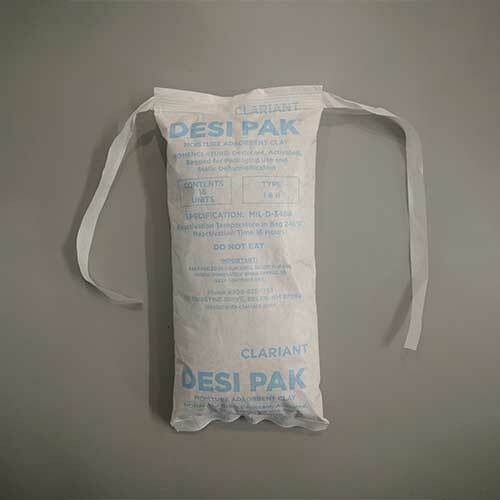 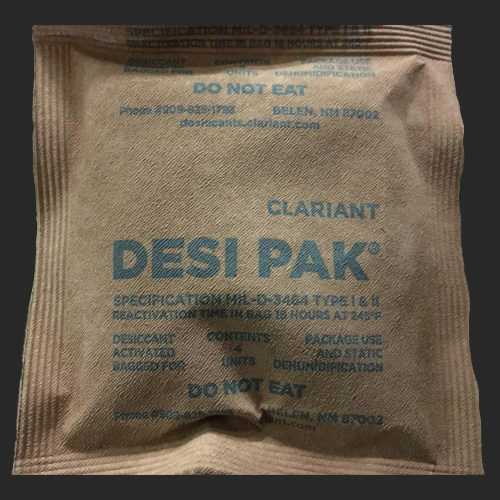 Each Desi Pak string-sewn bag contains bentonite clay, making this an effective and economical desiccant option. 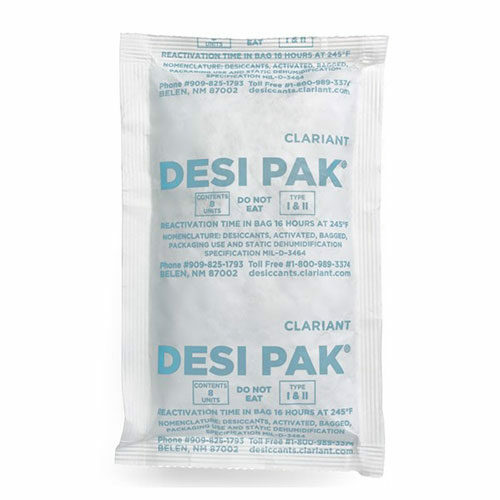 At full water vapor capacity, Desi Pak remains dry with no change in size, shape or texture. 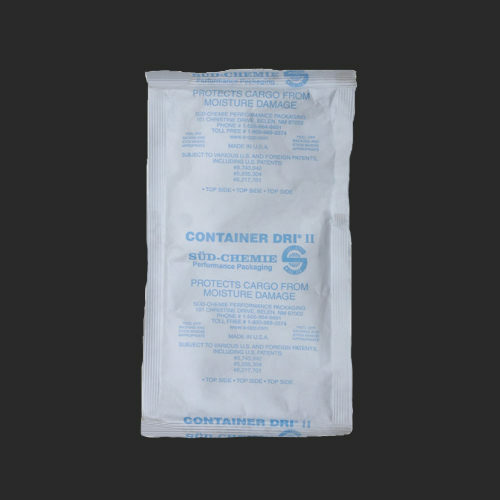 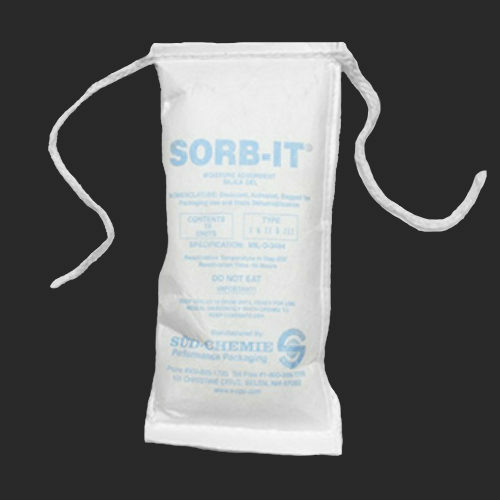 These bags include a sewn-in string or non-woven strap which can be hung on equipment or inside a container.